It's Easter and I'm sure most of you have all been busy preparing for this special season. When I reflect back to my early years, I remember my Mother baking Paska in coffee tins. We always painted eggs on Saturdays and I don't know why, but colored eggs tasted so much better. Today, I feel blessed to share with you how we can continue passing down some of our Easter traditions to the next generation, by just living normal lives and involving them. Another grandchild, Silas seemed somewhat pleased when I pulled out my large Easter box and found our favorite decorations. He unpacked all the little ornaments and carefully arranged them on the mantle, and it did not take long before cousin Ivy came over and discovered her favorite bunnies. These times give opportunities to share with the children the symbols of Easter which are rich in meaning. As you can see, my kitchen island has been built with dual purposes. It's just the perfect level and there is always lots of space. Silas was interested in painting the eggs, and so we tried some new experiments, but we both did not like the results, so we fell back to the true and tested method of using colored dye from the package. Eggs are the epitiome of promised life. Life has been sealed away for a time resulting in new life. Jesus is the gift not only of life, but of eternal life. Bunnies, birds and chicks, are all newly born creatures which remind us of the the new birth of Christ. Because of Easter we can become 'new creatures'. The green, yellow, pink and lavender colors symbolize that the earth burst forth into new fresh colors which means, 'life wins' How we all anticipate the resurrection when all nature is 'rising again'. And at the end of Saturday, don't you all remember how our moms and grandmothers would get on their hands and knees and wash the floors? It's wonderful when our little grandchildren can work along side of us. Wishing you special joy as you make your last minute Easter preparations. 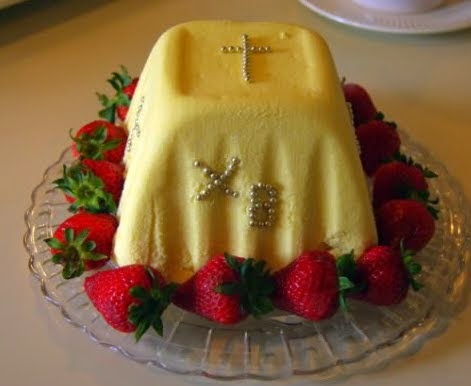 This is a wonderful post explaining the Easter traditions and their meanings! Easter was a somber time for us, including fasting and praying and then a long communion service on Easter Sunday. 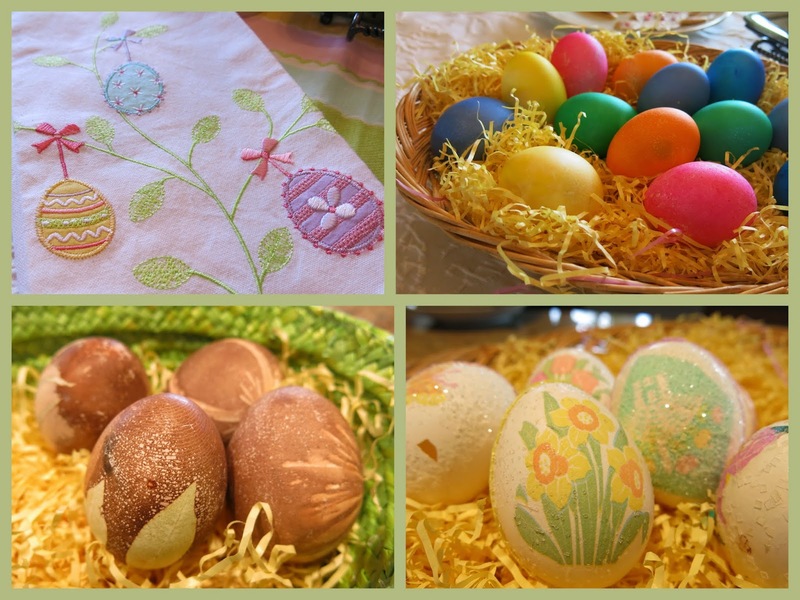 My mother always made onion skin dyed eggs while we would make the coloured eggs. A special kidney bean salad was served for Easter dinner along with ham and scalloped potatoes. The other tradition was to line up our winter hats on the sofa and on Easter morning we would find that the Easter bunny had filled our hats with candy and such! 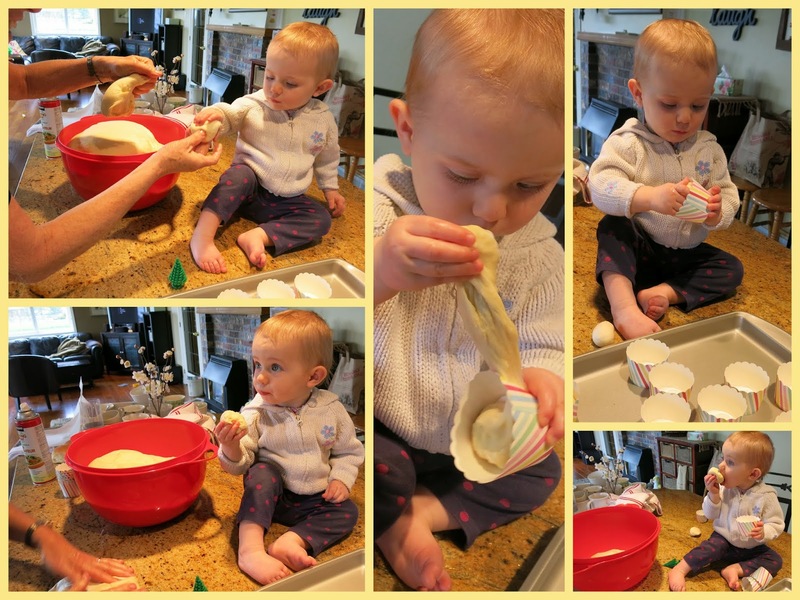 I love how you are passing on your happy and meaningful traditions to your sweet grands! Thank you Marg for showing us how all of our Easter traditions lead back to the death and resurrection of Christ - As grandparents it is so important that we model, talk about and engage our grandchildren in these meaningful and life affecting traditions. Thank you for sharing your faith, your traditions,awesome recipes and your precious little grandchildren. So glad I found your website/blog. I have such a warm fuzzy as I follow you all and proceed back through all of your older posts. Awesome message and awesome recipes!!!! Thank you again.